Here is the latest Inspiration + Illustration series by Melanie Boychuk, illustrator contributor for FV. Here, she shows you her source of inspirations [ Harpers Bazaar May 2012 photo ] to create her illustration and photo media collage. Love the bold black statement and back drop today Mel! You can also check out her website, missmel.com to view more of her work and to contact her if you need an illustrator for any projects. 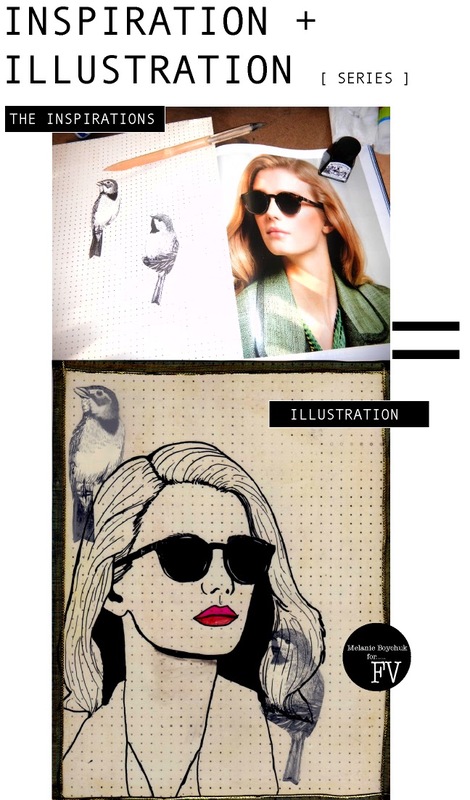 © 2012 by MELANIE BOYCHUK illustration and Fashion Vignette layout. All rights reserved. No part of these images may be reproduced or transmitted in any form or by any means, electronic, photocopying, or otherwise, without prior written permission.